Mr. Karuppusamy is a Managing Economist who joined Nathan’s Chenai office in 2010. His focus is on competition, development, and labor economics. 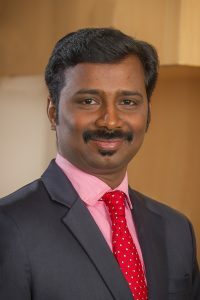 He specializes in survey research and design and statistical and econometric analysis, including analysis of large datasets using statistical and econometric techniques. He has extensive experience on building complex econometric models to develop decision-making tools for various projects, and extensive experience designing sample surveys and analyzing baseline, midline and end line datasets to measure the impact of interventions using appropriate statistical and econometric techniques. Mr. Ramesh has analyzed large transaction datasets in the context of litigation in the United States, the European Union, and India, relating to cartelization, monopolization, mergers and acquisition, and labor discrimination. He has developed econometric and statistical models to estimate damages and to define the relevant markets for projects. He has extensive knowledge of various statistical packages like SAS, STATA, and SPSS, and MS office applications such as word, excel, and VBA.